Our goal at Meeks Real Estate is to provide each and everyone of our clients’ service that is unsurpassed in the area. We strive to ensure that all our clients have 100% of our attention, our commitment to their total satisfaction and a transaction that is fair and expedient. At Meeks we know the customer is king and without their satisfaction our business and team will not prosper and expand. We are committed to treat every customer with the respect and courtesy they desire and deserve. The Facts You need to get the facts on any property you plan to purchase and they are right here at your fingertips or just an email away! Using this site you will find the information you need to make good decisions on some of the most desirable properties in the area. “No Strings Attached” This website is for you to use, absolutely free. There are no requirements, passwords, or obligations of any type. Please keep Meeks Real Estate in mind when interviewing Realtors to assist you in your relocation & with the purchase and/or sale of your next home. It is our pleasure to have some of the most desirable properties in the area on this website. If you have questions on any of our listings please call or email us. We’ll be glad to assist in any way we can. 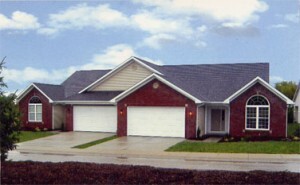 We are changing the way the Real Estate business is conducted in Vincennes!